The 2600 was a stunning success though, selling more than 30 million units through its lifetime. Unfortunately, Atari was not able to maintain that momentum with any of its other products and eventually the company became the red-headed step-child of several companies, buying and selling Atari several times over the years, despite some strengths the company retained in the video game market. Atari SA, originally named Infogrames Entertainment, based in France and took full stake in Atari in 2008 is now majority owned by BlueBay, and that company has stated its intention to be repaid on its credit line to Atari. Those stated intentions have created a bit of a toxic environment for Atari and with the credit line drying up at the end of March, the company has filed in Europe and in the US to seek bankruptcy protection. Atari in the US has been reaping good rewards with its game licensing model and has made a big push with some of its classic names for mobile gaming in Android and iOS. Classics like Centipede and variations on classics like Asteroids, called Asteroids: Gunner, and others have been well received, and have accumulated millions of downloads. The games are free, but have a number of in-app purchase options. That has helped make Atari US a much better performer compared to the rest of the company, accounting for a significant amount of the revenue overall. Despite that performance, the company overall will post a significant loss for 2012. 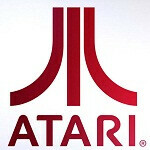 Atari US is in a better position to restructure as it has secured financing to achieve that end. The rest of the company is facing an asset sell-off. If you have been curious about what Atari has been up to since the salad days of the 2600 system, check out some of these games from iTunes and Google Play. The new variations of these classics bring decent graphics and challenging twists. Available for iOS and Android. The new rendition of Asteroids is well executed and for now at least, only available for iOS. Available for iOS and Android, Circus takes you through all the challenges of putting on a show. A play on the classic gallery shooter, outlaw is rooted in Atari's popular game from the 1970s. Available for iOS and Android, the greatest hits is an original generation emulation of the greats from back in the day. I miss old games. My fav: Contra, Starfox N64, Mariokart SNES, original Mario Bros. I can't stand the games that are currently out. I guess I'm old. That's why I love phone games. cause they made games for phones and most likely good ones ? sometimes my friend your own question has the answer. its best to pause for a moment and think. really hard if possible. Why did they stop innovating?